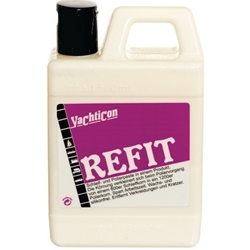 Refit is a combined rubbing and polishing compound in a single product. Starting with a 600 rubbing grit, Refit cuts down to a 1200 polishing grit during use. It decreases working time and is wax and silicone free.